When we published the Year Over Year Home Sales Report in May 2014, we boldly promised that this month's report would be different. In fact, we stated that beginning with this month's report, we would see declines for the first time in nearly two years, and we would see them for several months to come. As promised, this month's year over year home sales report shows an 8% decline for May 2014 when compared to May 2013. 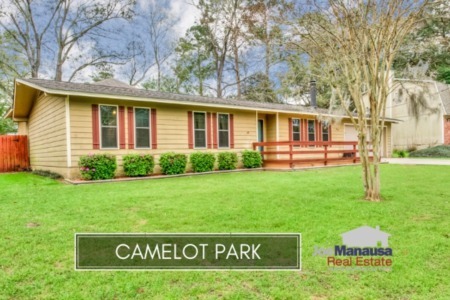 If you have been following our study of the decline of contracts in the Tallahassee MLS, then you know why we have anticipated the negative movement in the housing market. This month's report is as expected. In the graph above, the blue bars measure the change in the number of homes sold (as a percentage, measured on the left vertical axis). If the recent month was better than its predecessor from the prior year, then the bar extends above the "0%" line. But if home sales declined when compared to the year prior, then the line falls downward. As you can see, home sales in May were down 8% when compared to May 2013. 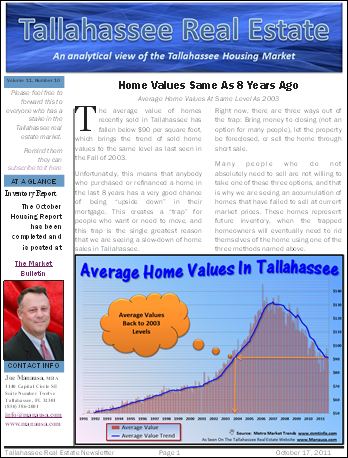 Reminder: The Tallahassee Real Estate Newsletter was published and delivered to nearly 5,000 subscribers today. You can get a free copy emailed to you each month, all you have to do is subscribe here. If this was merely a singular isolated report, then we would just chalk it up to the normal irregular market movements that are commonly seen. In fact, since this is the first time in 22 months that a negative report was found, it would be easy to think of this as no big deal. Unfortunately, it is a big deal. 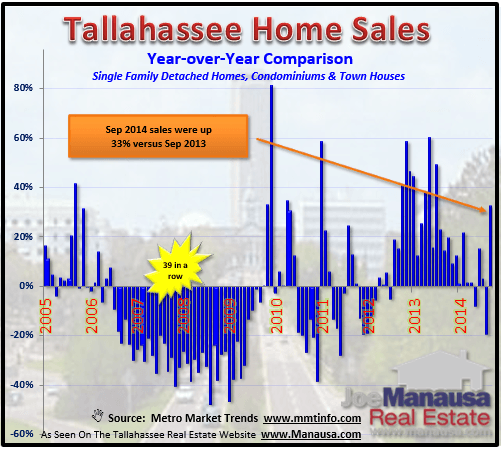 I believe it is the first evidence of a rapidly slowing market that we uncovered with our study of buyer activity in the Tallahassee real estate market. The number of new contracts being written and posted in the Realtor MLS in Tallahassee is down more than 50% from February through mid June this year when compared to the same time last year. This is the time of year when we see seasonal buyers surge into the market and produce the highest sales volume of the year, but it does not appear to be happening in 2014. 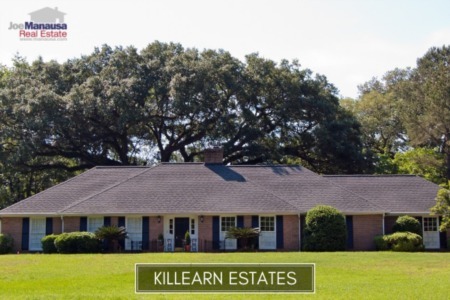 How will the 50+% decline in new contracts translate into total closed home sales in Leon County? I'm not sure, but I feel certain it will result in declines through the Summer. Home sellers will be feeling the competition, wondering why homes that seemed priced correctly at the start of the Summer are being ignored. Of course, this does not have to be how you experience the evolving housing market. There are solutions to every home seller's situation, you just have to know all the options, processes, and techniques. If you find yourself running out of time and want to sell your home for top dollar, just drop me a note and we can schedule a time to show you how we can sell your home in 4 to 14 days.